Hello and Happy Thanksgiving. Please find attached the latest edition of Postal Worker West. Please forward to your contact list and post as you deem fit. 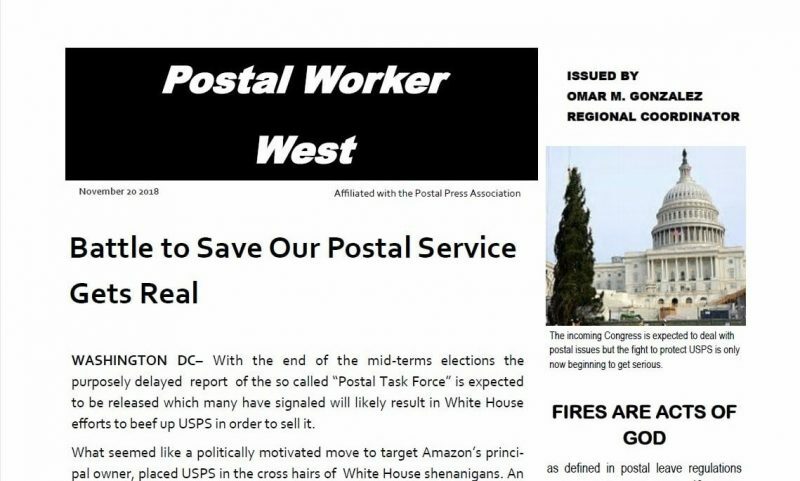 This entry was posted in General Union Business, Postal Reform and Politics and tagged APWU Western Region Coordinator, Omar Gonzalez, Postal Worker West, PWW, Thanksgiving. Bookmark the permalink.